Criterion Acoustics, a full-service design firm specializing in architectural acoustics, audiovisual systems, and technology solutions, has expanded into new offices. The East Coast headquarters of the company is now located at 112 Brunswick Street, Jersey City, NJ. In addition, Criterion Acoustics has a Western region presence via its new offices located at 451 East 58 Avenue, Denver, CO. The new, larger Jersey City space accommodates the firm's continued expansion. 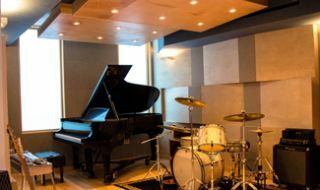 Its growing portfolio includes projects for recording studios, theaters, residential, residential, hospitality, general AV systems design, DSP programming, performing arts, gyms/fitness, system tuning, general consulting, nightclubs, and hotels. Additional acoustical design segments that Criterion Acoustics serves includes hospital/medical, broadcast, higher education, science and research, worship, athletics, government/military, transportation, community noise, and quiet product design. Criterion Acoustics was founded in 2012, and is led by acousticians Dave Kotch and Sam Neff. Since its inception, the company has established itself as an innovative resource, providing fresh solutions to a range of projects and clients. "Our new headquarters represents an exciting chapter for Criterion Acoustics," said Kotch, who heads up the firm's New Jersey office. “The expansive offices are accommodating increased staff and advanced capabilities for our clients' needs. As our second office in Jersey City, this reaffirms our commitment to a dynamic region that will continue to thrive in the years to come." Neff, who will oversee Criterion's Denver office, said, "With a number of recent projects in California and Las Vegas, Denver is an ideal location to service our growing client base throughout the Western region."